Space, Style, comfort and safety, the all new Hyundai Santa Fe Commercial packs an impressive portfolio. 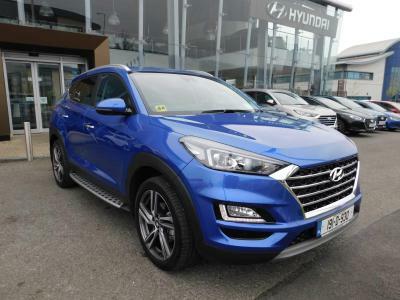 The Santa Fe is now for sale at Michael Barrable Motors, Irelands Leading Hyundai Dealer. Why not drop in for a look or arrange a test drive now. The Stylish Hyundai has been bolstered by intelligent active safety features, providing comprehensive protection for the driver and occupants. The 2018 Santa FE commercial includes an extra touch of style from Hyundai. Its finely sculpted contours, aggressive hexagonal grille, Xenon headlamps*, LED running lights and eye-catching fog lamps are sure to turn heads on every journey. Check out the Hyudnai Santa Fe Specifications below. Check out the Hyudnai Santa Fe Pricing and Trim options below.